Photo of John Wallace Burnett Sr. In Photographs > Cabinet Card Photographs > Show & Tell. 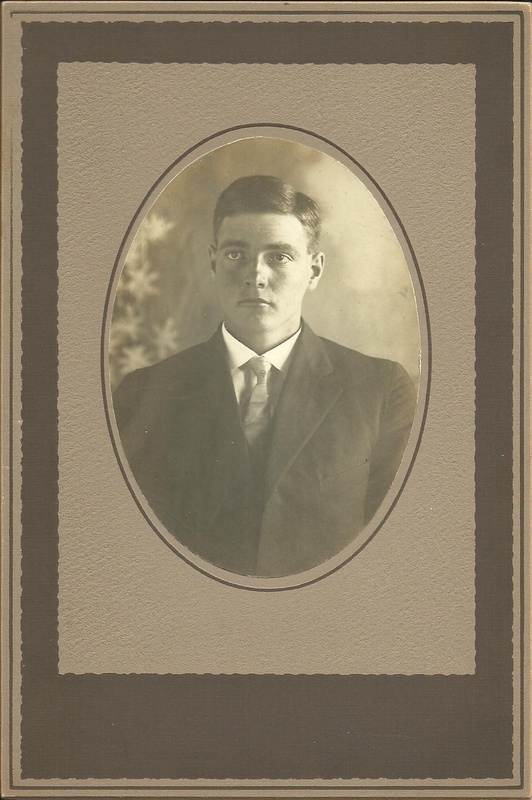 This is a photo of my great, great grandfather, John Wallace Burnett Sr. (1894-1977). What type of photo is this? When was it taken? If anyone can help that would be great! !